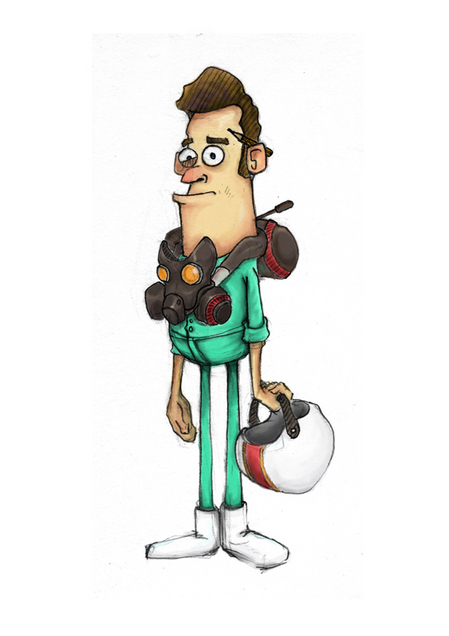 This time, he is a spaceman after a long day of work collecting space junk! (This one makes me laugh harder)! Come back in about an hour! Hi, Ralph! This was our first attempt at a main character. He stayed in the game in one form or another for the first few weeks while we were trying to nail down what the game was about. The game was at the beginning very Pikmin inspired - but rather than running around and using the natives to collect things for you, you were running around and trying to lead them to your spaceship to go into your zoo.